A meeting was held yesterday in Lausanne between the WCBS Executive and representatives of the snooker members, WPBSA and IBSF. WCBS confirmed that the snooker members remain as WPBSA and IBSF. The WCBS does not recognize the newly formed World Snooker Federation (WSF) as an official entity within the WCBS structure. 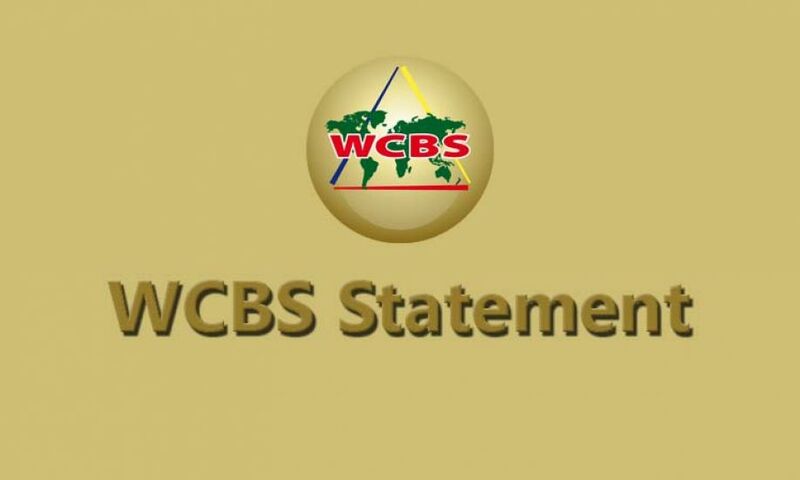 WCBS informed both parties that they will organize an Extraordinary General Assembly as soon as convenient to approve a new constitution that will meet all the necessary requirements and clearly define WCBS divisional membership and representation. Discussions took place between IBSF and WPBSA on how the two organizations can work together in the future for the betterment of professional and amateur snooker. There was no final agreement reached but they will continue their discussions on February 6 in Frankfurt, with the anticipation of finding a final resolution. 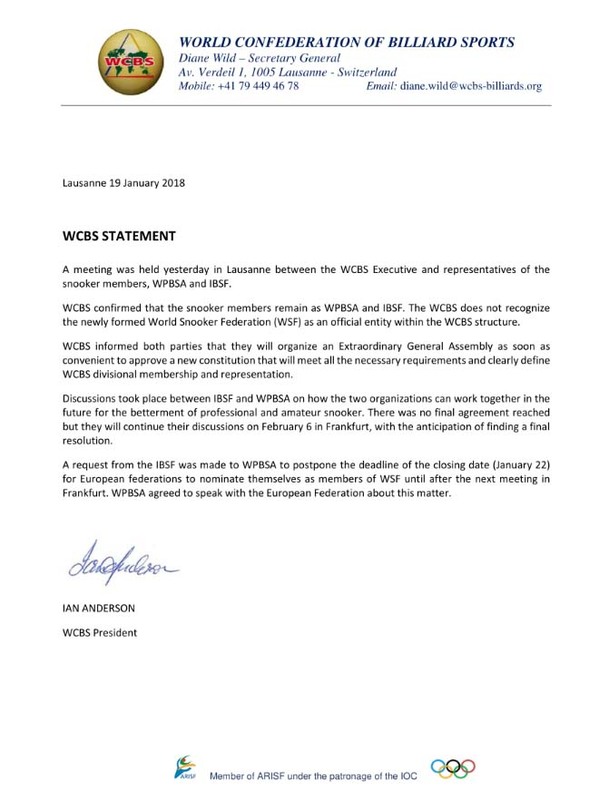 A request from the IBSF was made to WPBSA to postpone the deadline of the closing date (January 22) for European federations to nominate themselves as members of WSF until after the next meeting in Frankfurt. WPBSA agreed to speak with the European Federation about this matter.